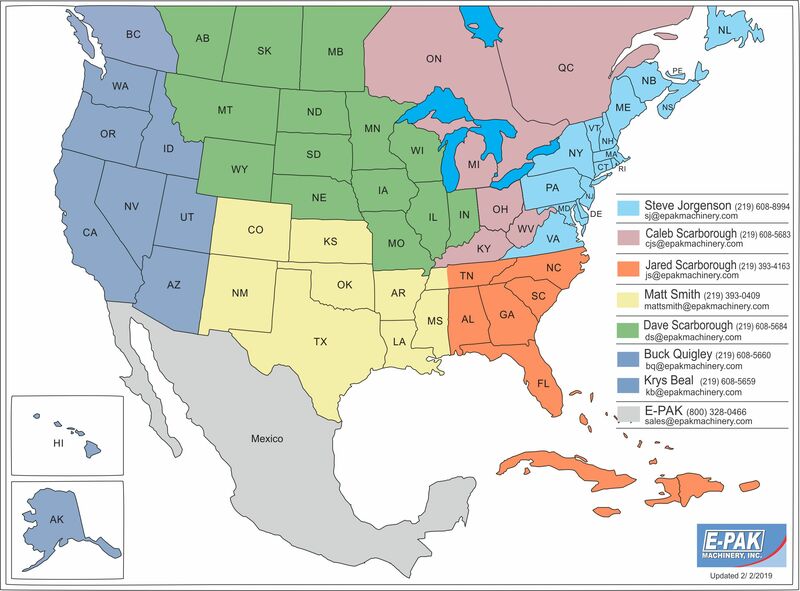 Our sales territory map is handy reference to find the sales manager for you location. If you are not sure who your E-PAK sales manager is, or do not see your locale listed, please feel free to give us a call, and one of our friendly customer service representative will be glad to assist you. Our office hours are 7:00 AM to 5:00 PM CST/CDT.